Sue Shefman has spent 30 years buying up the items after getting her first piece shortly after getting married. 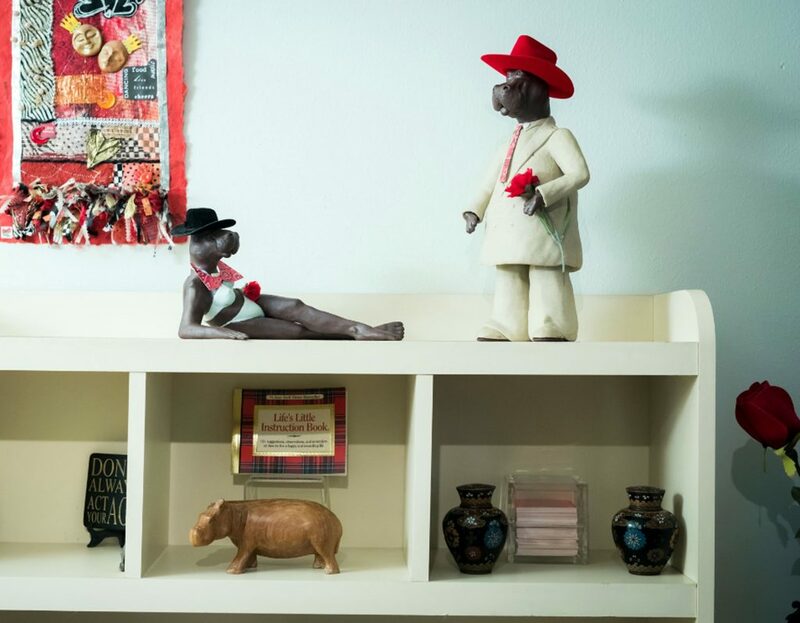 Her home is now full to the brim with hippo ornaments, flower pots and even a hippo security camera. 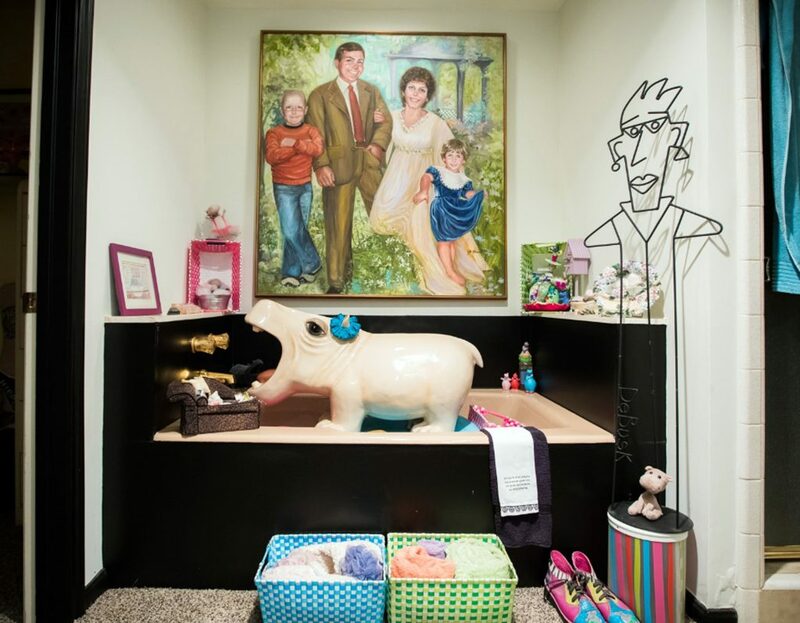 The fanatic has cuddly toys, clothing and art work shaped like the beast all over her home in Houston, Texas. Sue is also a member of the Hippolotofus Society and has spent thousands on her collection. The worldwide group collect, trade and talk hippo objects and memorabilia and have annual conventions all across North America. 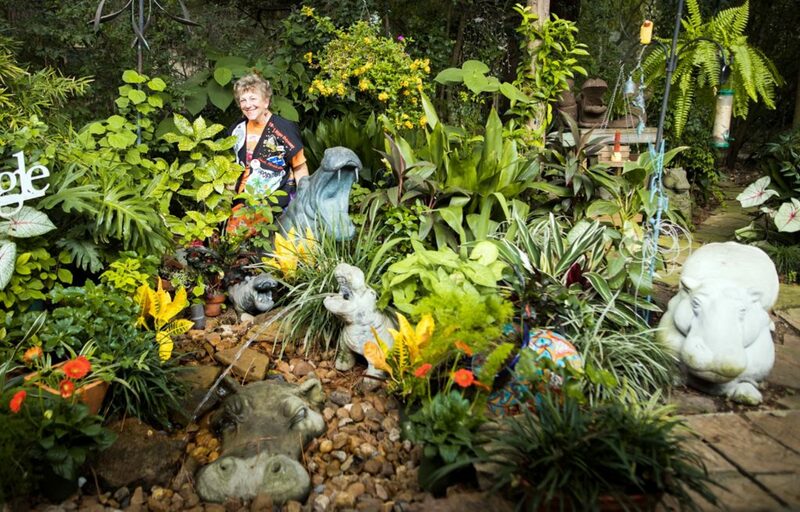 Her unusual home is part of the Weird Homes Tour which allows access to 56 unique houses across the states. 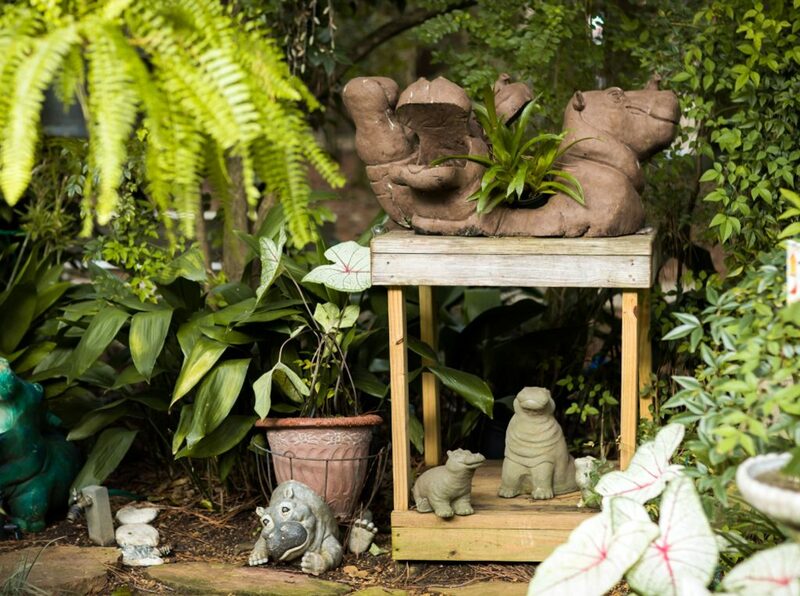 Sue, who is in her late 60s, said: “I’ve been collecting hippos for about 30 years. Right after I was first married I bought a cute little knick knack for the coffee table. “About a year later I bought a large ceramic hippo. I named him Hunk the Drunk – he looked like the morning after the night before. “Then my mum bought me a Fitz and Floyd hippo planter. And when you have three you have a collection. 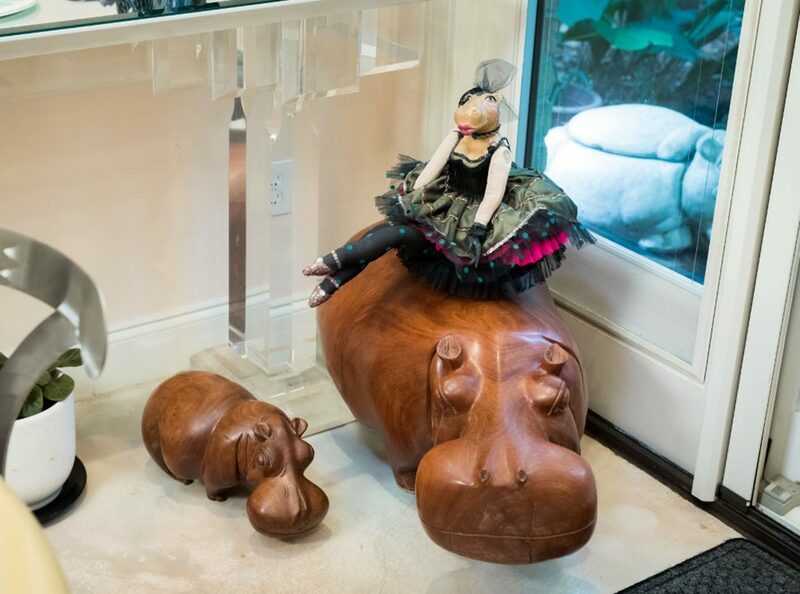 “As the collection continued to grow I noticed that the hippos, on their own, started herding themselves out of the kitchen and finding hippos in every room in the house!